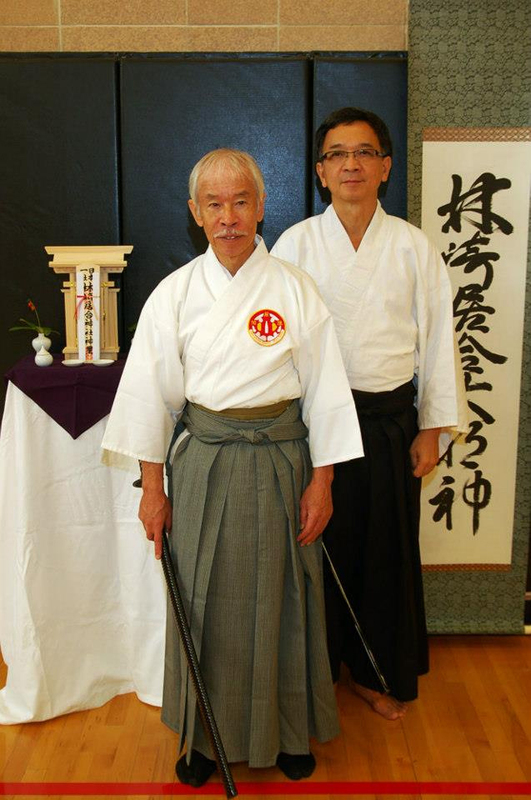 Inoue Sensei with a commemorative tsuba presented to him by the dojo members for achieving 7th dan at the Nanaimo 2015 Seminar. 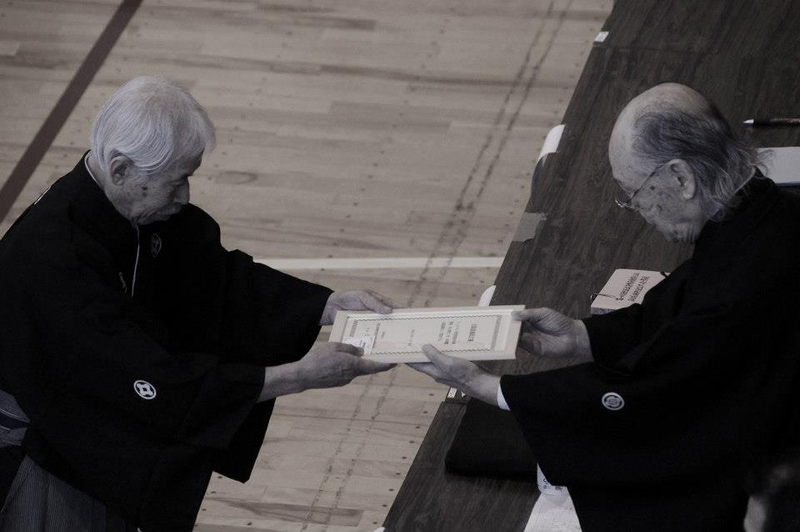 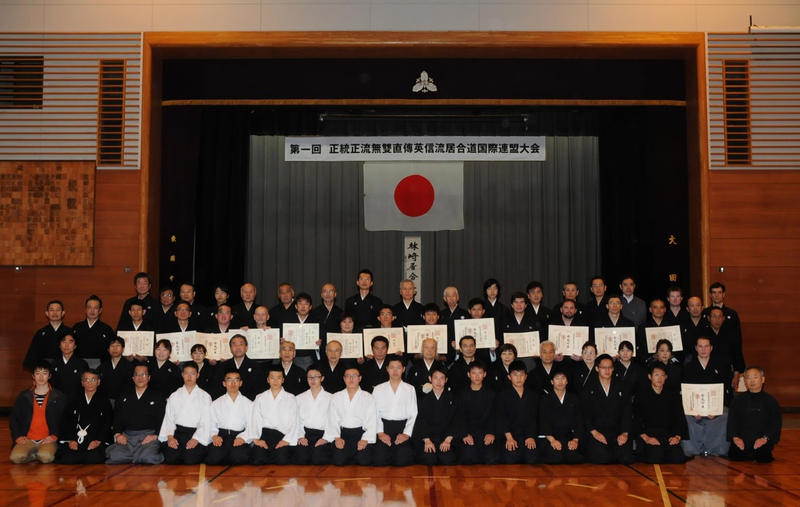 Dojo members chipped in to have our dojo logo made as a tsuba for Inoue Sensei to commemorate his 7th dan achievement. 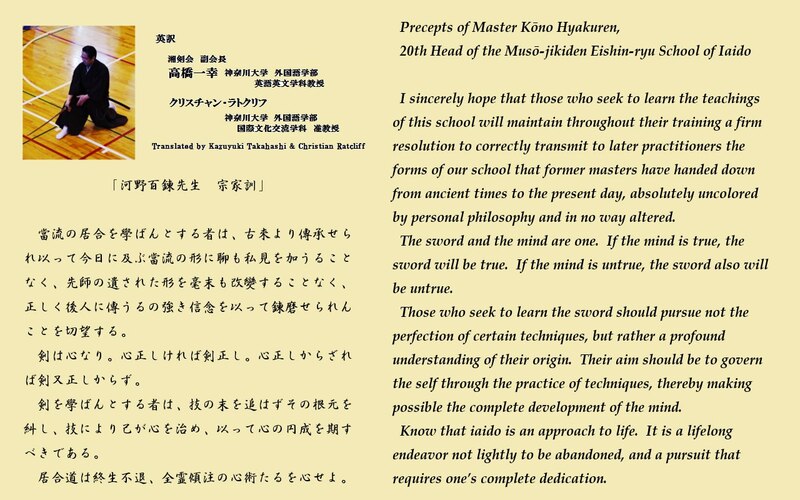 Kokusai Renmei Membership Card with Translation. 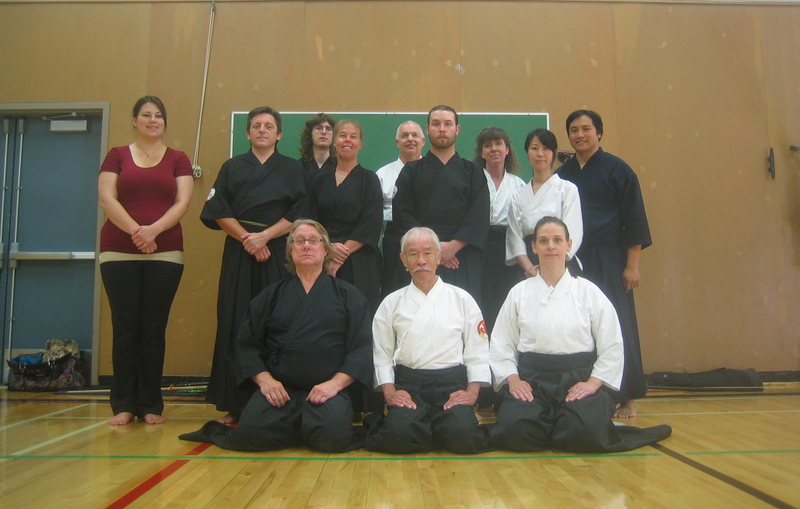 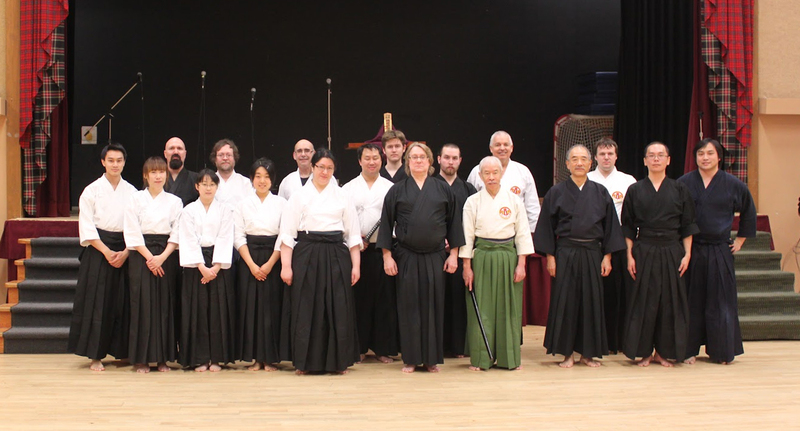 The Vancouver Eishin Ryu Iaido Club is an officially accredited dojo of Seito Seiryu Muso Jikiden Eishin Ryu Iaido Kokusai Renmei. 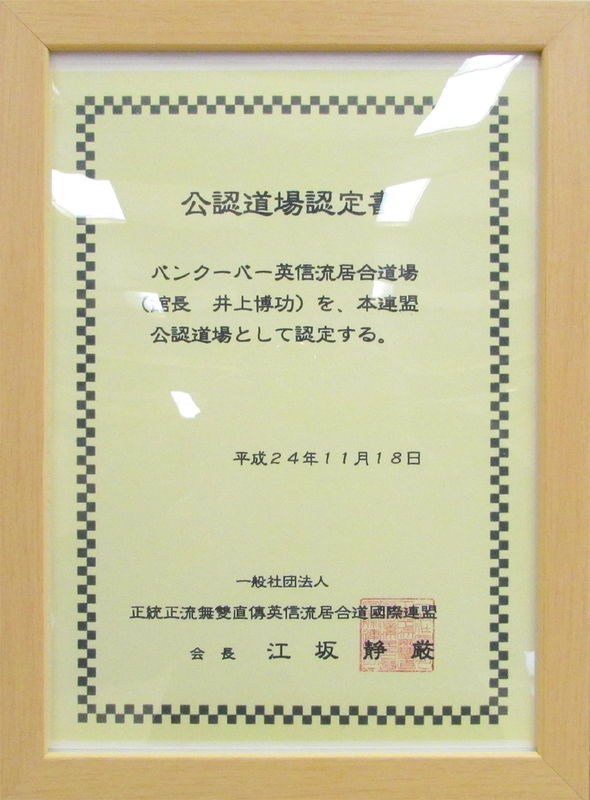 Photo taken January 2013.